No more desks and cubicles and that stereotypical office setting look. 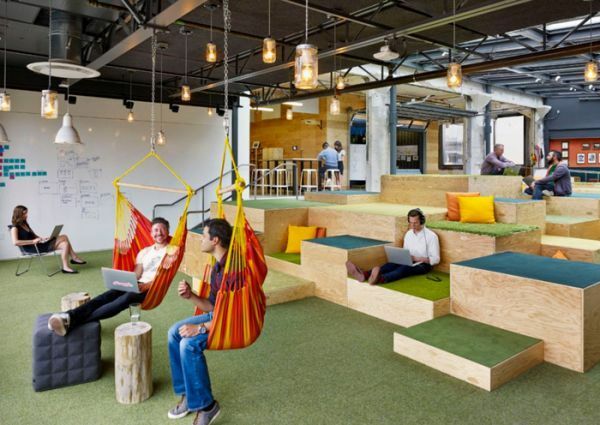 New companies are breaking away from the traditional office background and looking for a new type of workplace. They are looking for more open and collaborative spaces that allow employees to work together and share ideas. Generation Y or as many refer to as “millennials” are pushing this movement as more and more of them continue to join the workforce. This trend only seems to keep gaining steam, so let’s see why demand is so strong for these new and creative modern office spaces. There are a few reasons why there is a shift in what firms are looking for in their office setting. The first is who makes up our workforce. According to a 2012 estimate by the U.S. Bureau of Labor Statistics, millennials are expected to make up over 40% of the workforce by 2020. Generation Y works differently than previous generations. They want more open areas that gives them flexibility with where they work rather than just being in the same chair all day. They also interact differently and are pushing for more team and group work. With Generation Y becoming a significant part of the work force, this helps explain why companies are seeking new office looks. Another reason why modern, collaborative workspaces are becoming so popular is because of technology. With laptops and iPhone’s replacing the standard desktop computers, one can be more mobile why still being able to access everything. Debra Barnes, vice president of interior architecture and design for the Minneapolis office of HGA Architects says, “They have the technology to allow them to work anywhere … conference room, break room, at Starbucks, at their client’s site.” She goes on further and says, “The younger generation is more jazzed by newer technology and what they can do with it versus having that private office to look forward to in 10 years.” New members of the workforce are not motivated by the opportunity to have a corner office anymore, but rather prefer the freedom and flexibility to work at a few different spots in the office. More and more companies are realizing this trend and slowly implementing changes. Even if it is installing these new stand/sit work stations that allow an employee to change his work area to how he prefers, firms are evolving to this trend. If firms hope to attract and recruit the top young talent than they might have to put an even greater emphasis on office design because millennials strongly care about their workplace being more homelike than corporate. If you love sitting and working at a cubicle than you should really start to appreciate it because those days could be numbered. The future of office space is going in the exact opposite direction. Knoll Inc. constructed a survey and this is what they found in their results, “Gen Y’s top priority was having an “engaging workplace” and the lowest emphasis was on the quality of meeting rooms.” With more and more of Generation Y joining the work force each year, the days of the traditional office setting are limited. Office space is evolving, and it might be time for you to think about changing how your workplace is set up. 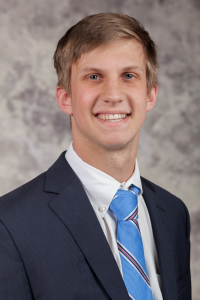 Andrew Kulig is a 2017 intern at SVN | Dunn Commercial. He is a senior at Texas Christian University where he majors in Finance & Real Estate. Andrew is originally from Boston, Massachusetts, where his family still resides today. He attended the prestigious Governor’s Academy, which is the oldest boarding school in the nation. He is focusing on the office sector of commercial real estate in the Arlington/Mid-cities area of Dallas-Fort Worth. Outside of work Andrew enjoys his college life and everything it has to offer.